Is Your Documentation Ready for ICD-10? We are in the final countdown for ICD-10 implementation. No, really, we are. Despite some vocal opposition by various groups within the health care industry, the implementation date is set for October 1, 2014, which is less than a year away. Are you ready for the implementation? Do you know what ready means? I contend that part of being ready means your radiologists’ documentation is robust and contains enough information to assign accurate and detailed ICD-10 codes. That being said, I have yet to encounter a radiology practice where every physician in the group always documented to the highest level of detail. Therefore, this article will focus on five practical steps to ensure that your radiologists’ documentation is ready for ICD-10. 1. Review ordering signs and symptoms. Radiology presents unique challenges because if there are no definitive exam findings, then the signs or symptoms that prompted the exam order must be used for assigning diagnosis codes. Unfortunately, imaging departments commonly receive service orders with insufficient, inaccurate, or incomplete information. This is especially problematic for inpatient and emergency department visits, but I would argue it can be prevented for scheduled outpatient services. Obtaining accurate and complete clinical information in the patient orders is a process issue that must be addressed now because any problems will be amplified with the ICD-10 implementation. You must identify your ordering physicians who do not provide sufficient information to ensure accurate and complete coding. For example, do you receive orders for “breast cancer” as opposed to “left breast cancer, lower-outer quadrant”? While this level of detail is not required in ICD-9, it will be in ICD-10. If your organization utilizes computerized physician order entry (CPOE), does it allow ordering providers to enter detailed information or select it from a list? Do such lists allow providers to select specific diagnosis codes? 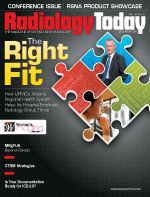 Many organizations implemented their EMRs without obtaining input from radiology stakeholders, so sometimes those systems do not require physicians to supply the data needed for accurate and complete ordering of radiology services. You should conduct a review of your CPOE screens to identify opportunities for improvement as part of your ICD-10 preparation. Similarly, if there are any preprinted order or admission forms, do they include a list of diagnosis codes for the provider to select or does the provider just write out the information? If there are codes on the form, are they unspecified codes or does the form provide adequate options to ensure the correct code selection? • Do any referring physicians need education on documentation of ordering/admitting signs and symptoms? • Do changes need to be made in the CPOE system to allow providers to enter more specific diagnostic information? • Do paper forms need to be updated to reflect more specific diagnosis codes or provide additional space for physicians to include specific clinical indications? 2. Track requests from coders to radiologists. It is important to know how often your medical coders must request clarification or additional documentation from radiologists in order to assign an accurate code. If you use computer-assisted coding in your organization, you can quantify the number of records pended for addendums and/or clarifications related to diagnosis coding concerns. This will help you identify opportunities for individual physician documentation improvement or whether a coder needs additional training to identify the information needed for coding purposes. Based on the volume of requests, select individual radiology reports to review in order to identify patterns by radiologist, procedure code(s), location, and any other key area of concern. Create an action plan to analyze and prioritize the items by highest volume, highest dollar, modality, etc and begin tackling them one by one. 3. Analyze the frequency of unspecified codes. There has been some discussion in the coding community as to whether payers will reimburse claims submitted with unspecified codes. There is no definitive or authoritative guidance indicating that unspecified codes will not be paid, at least initially. However, the challenge in our technologically EMR-driven world is supporting medical necessity. What message are we sending to payers in the circumstances where it is reasonable that we could have the information? There are situations where an unspecified code is the appropriate selection; however, I think most radiology professionals would agree that these situations are the exception and, most times, these codes are selected because of the radiologist’s and/or ordering provider’s incomplete documentation. A great deal of information can be obtained by generating a report over a six-month or one-year service period assigned to an unspecified diagnosis codes (codes ending in a 9). Once you have identified the high-volume codes, review a sample of reports to determine whether unspecified code are being used because of a physician documentation issue or a coder education issue. If the radiology report did not provide enough detail to assign a specified diagnosis code, then it’s a radiologist documentation issue. If the radiology report did contain specific information but an unspecified diagnosis code was selected, then it is a coder issue. One overarching concern is whether all of the information is available to the appropriate individuals during the documentation and coding process. This important element should not be overlooked during the examination process. It is easy to assume the radiologist neglected to dictate information, but if the information is unavailable, how could the radiologist include it in his or her dictation? • Will physician education be required? • Does there need to be any additional coder education on either coding guidelines or the coding process? • Are there any system changes that need to be made? 4. Review medical necessity denials from payers. Conducting a review of your current medical necessity denials potentially will give you a sneak peek of your areas of concern once ICD-10 is implemented. If you have concerns about getting invoices paid today, that will only be amplified when ICD-10 arrives. Identify which payers have the highest volume of medical necessity denials and review the radiology reports to determine whether the denial results from insufficient documentation or the use of an incorrect or unspecified code. Analyzing this information by radiologist and location also may provide some useful insights to help you identify your target areas of concern. • Develop an action plan for targeted education. • Address specific causes of current denials to avoid carrying them into an ICD-10 environment. • Communicate with your top payers to obtain their ICD-10 plans as soon as possible. 5. Monitor coding regularly. After documentation gaps have been identified, the information has been analyzed, the cause of the gaps has been determined, and appropriate education has been conducted, ongoing monitoring is critical to ensure changes are appropriate and sustained. There are several ways to facilitate ongoing monitoring, including running monthly reports on diagnosis code usage and conducting random chart reviews to evaluate improvements in documentation. These components can be added to current scheduled coding and documentation audits rather than creating separate and distinct audits. Remember that physicians know how to practice medicine, but sometimes a better understanding of how to consistently document the practice of medicine is needed. This could be true for ordering physicians or radiologists. And do not forget the role that medical coders play in ensuring accurate and complete code assignment. ICD-10 is coming, and you need to make sure you are on that train. Otherwise, you risk getting run over by it. — Melody W. Mulaik, MSHS, CRA, RCC, CPC, CPC-H, PCS, is president and cofounder of Coding Strategies, which provides specialty-specific auditing and educational services for physicians, hospitals, and billing companies nationwide.